Discover a community that just has more. More of what you’ve come to expect in a community, more amenities, more access, and more reasons to live here. Gallerie is located near Crown Center in Kansas City and epitomizes what it means to live in luxury. 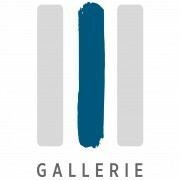 Our community name draws its inspiration from the art world; gallerie is the French translation of the word “gallery.” And the Gallerie logo is symbolic of the location; the three pillars represent the three neighborhoods the community is located between: Union Hill, Crown Hill, and Longfellow, bringing together the unique styles of each into one location. Gallerie was developed with the residents in mind, from the genius location in a quiet community yet near enough to the commotion of the city, to the hand-picked selection of quality amenities, many of which you won’t find anywhere else. Whether you have particular tastes or enjoy pretty much anything, Gallerie will feel like the perfect fit for you from the moment you walk through the front door. Gallerie offers Kansas City residents a community built in a contemporary fashion with exciting, modern living spaces and classic designs. Every detail, large or small, blends together to make Gallerie so much more than your next apartment; it makes it an experience. Our location is impeccable and our amenities delightful. Both will make you want to brag a little whenever you have company. Step outside and find yourself encircled by a wide range of shopping, dining, and recreational pursuits. Rent a bike here or take a short walk to the nearest public transit station. Or if you prefer to drive, we have onsite and garage parking for your convenience. When you live here, you’ll have access to many classic amenities that you’ve come to expect from apartment living, but you’ll also have some you likely won’t find anywhere else. If you ever find yourself with downtime, there is always something new to explore, either in our community or in Kansas City itself. It’s all here, so why aren’t you? Get to know us and give us a call to schedule an in-person tour.